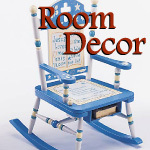 This lovely handpainted ceramic cross makes the perfect gift for Christening, Baptism, Baby Shower, or to simply welcome the new baby. This cross has been painted with 'Children are a gift from God' Psalm 127:3. This line of crosses has been designed in Dallas, TX. 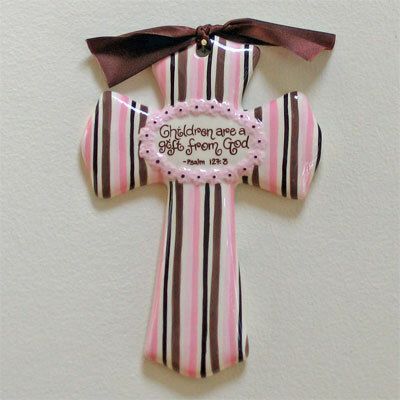 This particular cross measures 8" tall and includes an organza ribbon. There is a little hole at the top for hanging.